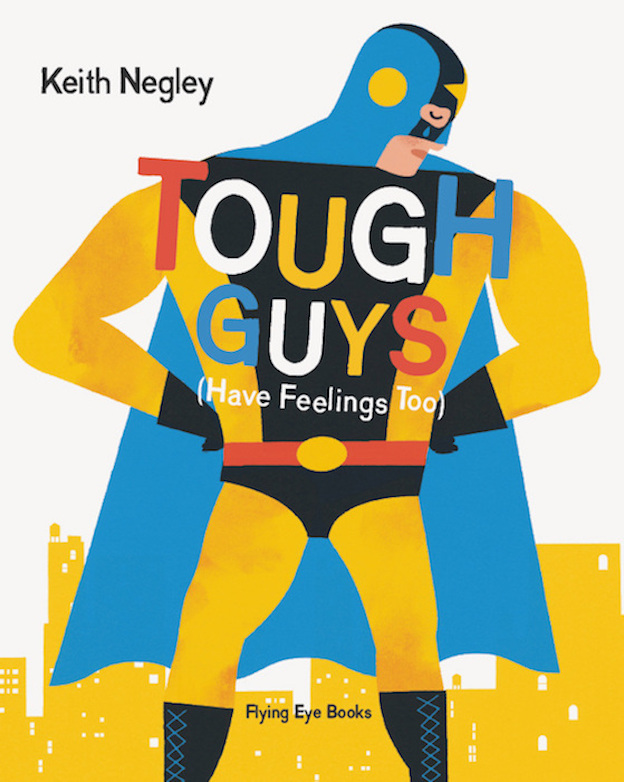 If being a parent requires you to be incredibly creative, Keith Negley has a leg up. 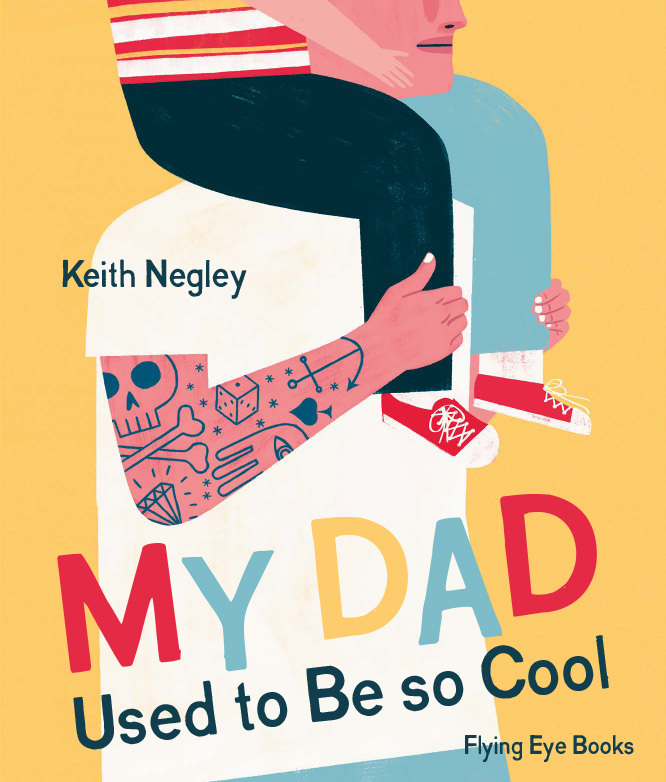 A man of many artistic talents, Keith is a skater, a musician, an illustrator, a children’s book author and perhaps most-importantly, a dad. In preparation for Father’s Day this Sunday, I spoke to the PNW-based artist about art and fatherhood and about his two children’s books My Dad Used To Be So Cool and Tough Guys (Have Feelings Too). If you want to know more about Keith and his artistic process, check out this interview we did with him last year. That I don’t have to look outside myself for good ideas. That inspiration and good art can be found by looking inside myself and pulling from my own life. That’s an interesting question I’ve never really considered it. Maybe that just like drawing, everyone has their own style of parenting and to not get caught up comparing myself to other dads. That and success doesn’t happen overnight, being a good dad takes practice just like being a good artist. You have 2 children’s books, what inspired you to write them? Did you feel a gap between books on the market and the kinds of stories you wanted to tell your son? I did yes! Those books were directly inspired by my son. I got the idea for the first one Tough Guys (Have Feelings Too) when Parker, my son, was playing on a soccer team for the first time and he got into a fight with a friend over a ball. He had all these new emotions he had never felt before and didn’t know how to express them. I went looking for a cool book that could address the issue and found none. I was inspired to make the second book My Dad Used To Be So Cool when Parker was giving me a hard time that I like to put up skateboard decks as art (I used to skate when I was a kid). He said with a snotty attitude that I’m “supposed to ride them, not hang them on walls”. A book from the perspective of a kid with a dad who used to have cool hobbies but have all been replaced with parenthood didn’t seem to have been told yet. Why are the stories we tell children important? I think as parents we’re constantly telling our kids what to think and how to behave. At a pretty early age they get good at tuning us out. I think books are a great way to make connections with our kids in a way that doesn’t feel like we’re indoctrinating them. Whether that’s to share values, explore new ideas, or just have a laugh. They’re so much more open to what we are saying when we’re going through it together with them with pictures. The stories we choose to tell in these moments are important because I believe books enable us the ability to reach them in ways we can’t otherwise. Can you share with us any lessons you learned from your dad? About work, being a father, or just about life? When I was in high school I made money waiting tables at our local Pizza Hut. Once when my dad was giving me a ride to work I was on a rant about the regulars who come in and don’t tip. I said how stupid I thought they were and my dad said “Everyone, every single person on the planet can teach you something you don’t know.” It sounds very zen/fortune cookie esc, but it struck a chord with me and I never forgot it. Parenting is nothing if not hard work. Eventually kids will disobey, or flat out ignore your requests, and in these times it would be natural to want to scream and yell, but I’d encourage dads in these moments to talk to your kids like everybody is watching. What I mean by that is, as men we have the physical strength to overpower the women and kids (or anyone smaller than us for that matter) in the house and with that physical strength comes tremendous responsibility to never let our tempers flair up. Of course in our minds we know we would never physically hurt our families, but when you’re 6 feet tall and weigh 190 lbs, raising your voice a 7-year-old is a form of violence too. As is storming out of a room and slamming doors and it takes a toll on the wellbeing of the family. I grew up in a house with parents that yelled a lot and my mom constantly felt the need to protect us from my dad. They both did the best they could and I love them for it, but I don’t want my wife and kids to be living in that same environment. So when I can feel myself getting upset over an argument or my son not obeying me and I want to scream and slam a door or two, I remember to talk to my son like my in-laws are in the room with us. It takes me out of the moment and I’m able to see it from a distance. More times than not I’m able to see how I’m turning a small thing into a much bigger deal than it really is.